Los Angeles hotels are renowned for their world class comfort and amenities, providing guests with top of the line service that leaves them wanting for nothing. Whether in town for business or for pleasure, these hotels make their guests feel like they are home, providing them with opportunities to relax and work as they please, without having to worry about their personal needs or concerns. A spa and an outdoor pool are among the amenities that lure our guests to the Luxe Hotel Sunset Boulevard — where you'll find all of the extras you'd expect from a resort plus the intimate service of a boutique hotel. Set on seven acres the two-story Luxe Hotel boasts a peaceful setting along busy Sunset Boulevard. Most of the 160 non-smoking rooms have private patios and up-to-the-minute amenities like iPod docks and flat-panel TVs with on-demand movies games and internet access. Surrounded by white umbrellas the heated year-round outdoor pool looks like the perfect location for a fashion shoot. As for eats your choices include poolside dining or an intimate table inside the understated restaurant. As for pampering the on-site spa offers a wide range of treatments. Valet parking is available for a fee. Off I-405 the Luxe Hotel is nestled between Beverly Hills Bel Air and Santa Monica. The University of California Los Angeles better known as UCLA is two miles east. The Getty Museum is 10 minutes away by car. Los Angeles International Airport is 12 miles south. The Luxe Hotel Sunset Boulevard boasts "beautiful" grounds "large" rooms and a "thoughtful" staff according to our guests. With free parking an outdoor pool and in-room microwaves and mini-fridges the Sea Rock Inn - Los Angeles is a good bet for budget-conscious our guests. The two-story Sea Rock Inn-Los Angeles offers 52 air-conditioned rooms with Wi-Fi access cable TV microwaves and refrigerators. Rooms also include hairdryers and irons and ironing boards when you need to stay neat and tidy. No need to run around looking for a morning caffeine fix since complimentary coffee and tea are available in the lobby. Soak up the California sunshine in the outdoor pool. Fax and copy services are available on-site. Parking is free. The Sea Rock Inn - Los Angeles is located near the junction of I-110 and I-105 13 miles south of downtown LA. There are several dining options within walking distance. Try your luck at the Normandie Casino within walking distance or stroll in the sand at Redondo Beach eight miles away. A fantasy-filled day at Disneyland is only 26 miles away. The hotel is 10 miles from Los Angeles International Airport. our guests appreciate the Sea Rock Inn - Los Angeles' "excellent location in the heart of LA" and close to the freeways and "reasonable" rates. This Los Angeles California hotel is 8.5-miles from Universal Studios. It offers free WiFi throughout the property and every room includes a kitchenette with microwave and refrigerator.European-styled guest rooms are available at the Kawada Hotel. All rooms feature a flat-screen cable TV and air-conditioning.Guests can utilize the business centre or the lobby computer work station. They can also enjoy early morning coffee or brunch at the Cherry Pick Cafe next door to the property.The Los Angeles Convention Center is 2.1-miles from the hotel. A multi-purpose arena the Staples Center is also 2.1-miles away. A short drive from the Westfield Century City shopping area and downtown Los Angeles California this property offers free on-site parking and serves a continental breakfast every morning.Azul Inn West Los Angeles - Century City features free wireless internet access in all guest rooms. 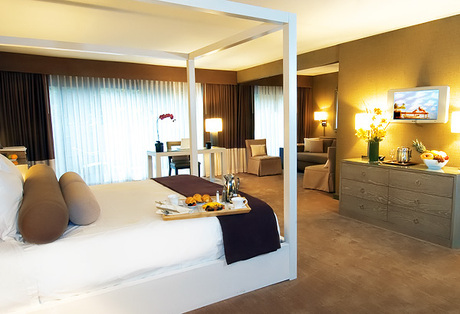 Guests will also appreciate in-room coffee makers and refrigerators. 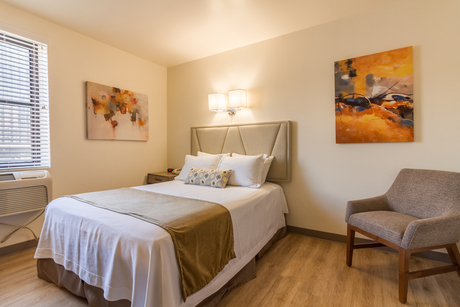 Public Transit is located directly in front of the property for guest convenience.With an ideal location near Interstate 405 the Azul Inn West Los Angeles is only minutes from fine dining and vibrant nightlife. The University of California at Los Angeles is 2.5 km Rodeo Drive is 3.4 km and the J. Paul Getty Museum is 4.9 km away. Avenue Hotel offers accommodation in Los Angeles.Rooms include a private bathroom fitted with a shower. For your comfort you will find free toiletries and a hair dryer. 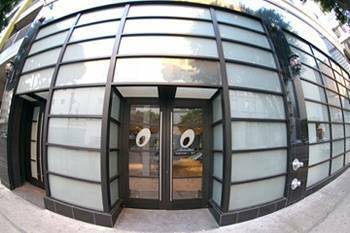 Avenue Hotel features free WiFi throughout the property.You will find a 24-hour front desk at the property.Koreatown is 2.9 km from Avenue Hotel while Capitol Records Building is 4.3 km away. The nearest airport is Bob Hope Airport 15 km from Avenue Hotel. Free Wi-Fi and a location right on Sunset Boulevard give the Moment Hotel a leg up in West Hollywood. This two-story hotel offers 39 rooms with iPod docks minibars and free Wi-Fi so it's easy to boast online about your Hollywood adventures. Big 46-inch flat-panel TVs let you get inside the action of your favorite shows. Suites have more space and expanded seating. The business center lets guests take care of work quickly and easily. Parking is available for a fee. In the heart of West Hollywood on the iconic Sunset Strip the hotel is less than a mile from the Hollywood Walk of Fame and two miles from the hip boutiques on Melrose Avenue. Drive four miles to Universal Studios Hollywood or 20 minutes to stargaze in Griffith Park. Downtown attractions including Chinatown and the L.A. Live entertainment complex are 15 minutes east. Los Angeles International Airport is 14 miles south. A Sunset Strip location and modern rooms with free Wi-Fi are sure to please our guests who book this West Hollywood gem. Cool minimalist design and a quiet ambiance set the tone for O Hotel in downtown Los Angeles. This 67-room hotel on four floors impresses guests the minute they walk into the lobby with dark woods cool stone and subdued lighting. Accommodations have platform beds chocolate wood furnishings flat-panel TVs iPod docks mini-bars and work desks. There are lots of little extras like a robe hanging in your closet. Non-smoking rooms are available. The hotel charges a daily resort fee that includes Wi-Fi access a daily continental breakfast bottled water access to the nearby Gold's Gym unlimited domestic telephone calls and any printing and faxing needed during the stay. In-room spa services are available for an additional charge as is indoor parking. O Hotel is located a half-mile from Staples Sports Arena. Elysian Park and Dodger Stadium are 10 minutes and Seventh Street/Metro Center rail station is less than two blocks from the hotel. Hollywood's Walk of Fame and Grauman's Chinese Theatre are 15 minutes away. Los Angeles International Airport is 18 miles from the property. our guests gush about the "great city ambiance" the "comfortable rooms" and the "extremely pleasant helpful" staff at the "romantic" O Hotel. The Wi-Fi is free the outdoor pool sparkles and Rodeo Drive is within walking distance when you stay at the Beverly Hills Marriott. An elegant marble lobby welcomes guests to this 12-story property where all 258 rooms feature free Wi-Fi and flat-panel TVs; some rooms have mini-fridges. Hunker down in the business center with a free daily newspaper and then work out in the fitness room on equipment fitness balls or with free weights. Unwind at the year-round outdoor pool or soak in the hot tub to truly relax. The hotel restaurant offers room service and has a full bar. You can walk to shopping on Rodeo Drive in less than 10 minutes from this hotel. The Los Angeles County Museum of Art Craft and Folk Art Museum and La Brea Tar Pits are three miles east. People watch at The Grove an outdoor shopping mall four miles north or head to Grauman's Chinese Theatre six miles north. Santa Monica Pier is 15 minutes away. Los Angeles International Airport is 13 miles south. Free Wi-Fi a pool restaurant and a top-notch location near Rodeo Drive make the Beverly Hills Marriott a hit with our guests. With a stylish decor free Wi-Fi and a location close to the freeway and some of LA's best shopping the non-smoking Sky Hotel is an urban oasis near the heart of the city. The stylish two-story Sky Hotel offers 28 rooms centered around a covered courtyard. Each room at this boutique-style hotel is elegantly appointed with custom furnishings and features free Wi-Fi a flat-panel TV a coffeemaker iron and ironing board and alarm clock. Guests can get a workout in the hotel's fitness center. Enjoy a European-style breakfast served in the hotel's charming courtyard. Complimentary coffee tea and cookies are always available in the hotel's lobby. There is a fee for parking. The Sky Hotel is located in West Los Angeles near the junction of I-10 and I-405. There are a variety of dining options surrounding the hotel. Stroll a few blocks to Westside Pavilion Shopping Center and do a little shopping or go big on Rodeo Drive two miles away. Breathe in the ocean air and soak in the sunshine on the beaches of Santa Monica five miles away. The hotel is less than two miles from the UCLA campus. Los Angeles International Airport is 11 miles from the hotel. The "stylish" Sky Hotel earns praise from our guests for its "beautiful rooms" with "comfortable beds" and location convenient to the freeway shopping and LA's hottest attractions. You can't get much closer to the LAX terminals and free Wi-Fi and an on-site restaurant sweeten the deal at the Hyatt Regency LAX. All 580 rooms at the 12-floor Hyatt Regency include free Wi-Fi huge 55-inch flat-panel TVs and luxurious bathrooms with rainfall showers. The spacious rooms also include free Starbucks coffee soundproof windows a mini-fridge and thick name-brand pillowtop mattresses. Break a sweat in the fitness room and let the concierge plan your evening in the city while you work in the business center. Or dine at the on-site restaurant and lobby bar. Hop on the free airport shuttle. Self- and valet parking are both available for a fee. The hotel is one-and-a-half miles from Los Angeles International Airport and also close to fun in the sun at Marina del Rey. Drive six miles north to Villa Marina Marketplace and primo people watching on Venice Beach. Playa del Ray a more laid-back beach is four miles west. Watch the sunset on the Santa Monica Pier nine miles northwest or window shop on Rodeo Drive or Sunset Strip both 25 minutes north. Downtown attractions including the theater district Museum of Contemporary Art Staples Center and Chinatown are 19 miles northeast. our guests laud Hyatt Regency LAX for its "super convenient" location that's "extremely close to the airport" "clean and comfortable" rooms and "efficient" staff. A 24-hour airport shuttle numerous on-site dining choices an outdoor pool and a 24-hour fitness room bring our guests to Hilton Los Angeles Airport. All 1234 rooms at this 17-story Hilton feature mp3 alarm clocks pillowtop mattresses designer toiletries and work desks. In-room Wi-Fi is available for an additional fee. Pump some iron in the fitness room put your nose to the grindstone in the business center and save time for a dip in the outdoor pool and hot tub. The hotel's three restaurants offer plenty of dining options and the sports bar is a great place to unwind. A rental-car desk gift shop same-day laundry service and free 24-hour airport shuttle are available for your convenience. Self and valet parking are available both for an additional fee. The hotel permits only service animals not pets. Located one-and-a-half miles from Los Angeles International Airport the Hilton is close to fun in the sun. Drive six miles north to Villa Marina Marketplace and primo people watching on Venice Beach. Playa del Rey a more laid-back beach is four miles west. Watch the sunset from Santa Monica Pier nine miles northwest or window-shop on Rodeo Drive or the Sunset Strip both 25 minutes north. Downtown attractions including the historic theater district Museum of Contemporary Art Staples Center and Chinatown are 19 miles northeast. Hilton Los Angeles Airport draws our guests with its handy location "close to the airport" but keeps them satisfied with its "friendly" staff and "very nice rooms" with "comfortable beds." With a karaoke bar and rooms with complimentary internet access the Miyako Hotel Los Angeles blends Asian style with contemporary amenities to add an touch of the Far East to your stay in LA. The 11-story Miyako Hotel Los Angeles offers 174 rooms with free wired internet access safes coffeemakers cable TV and bathrooms with Japanese washlets. Non-smoking deluxe rooms with complimentary Wi-Fi feather duvets and additional work space are available. Enjoy a traditional Japanese meal in one of the hotel's restaurants or sing your heart out at the on-site karaoke bar. The on-site business center offers computers with internet access and a printer and copy machine. The information desk will be happy to assist you with sightseeing tours directions and questions about dining shopping and recreation. 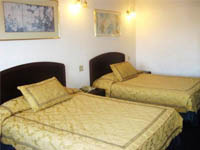 The Miyako Hotel Los Angeles is located with convenient access to Highway 101 in the heart of Los Angeles. A short walk will put you in Little Tokyo and the Grand Central Market where you can enjoy an delicious Japanese meal. The hotel is less than two miles from Los Angeles' financial district. Jump on the metro at Los Angeles' Union Station one mile from the hotel or catch the Gold Line a few blocks from the hotel. The hotel is 20 miles from Los Angeles International Airport. our guests appreciate the "hospitality and excellent service" and the "comfortable rooms" at the Miyako Hotel Los Angeles and as well as its "convenient location" "near Little Tokyo" and downtown.